With two rounds just about in the books in the NHL’s “second season,” it’s hard, as a St. Louisan, not to get excited about our local club’s trek thus far. The Blues have advanced to their first conference finals since 2001. 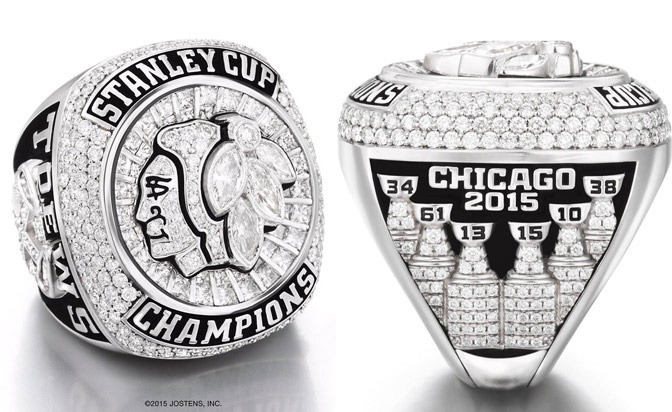 Any reasonable hockey fan knows they’ve yet to hoist the Stanley Cup in nearly fifty years in the league. Moreover, of teams 24 active franchises to have participated in the Stanley Cup Finals, St. Louis has the second-longest drought, dating back to 1970. 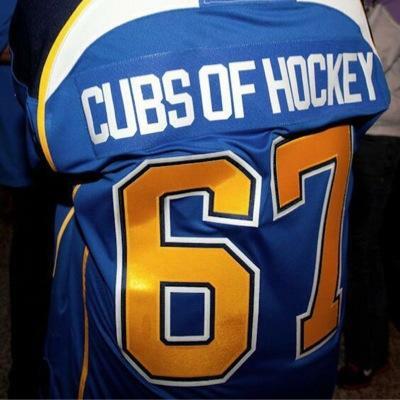 Incidentally, the longest-suffering fan base can be found in Toronto (1967), but with thirteen titles to their credit, that relegates the Blues to the ignominious title “the Cubs of hockey.” Regardless, if the Western Conference representative wins it all, it will be that franchise’s first championship–the Sharks and Predators play game 7 in their series tonight; neither has advanced to the Finals in their shorter spans of existence. Six of the seven games were decided by one goal, including two in overtime. No big surprise there, as the Blues won the season series 3-2, with three games decided by a single goal–all won by St. Louis, in OT, of course. The outlier was game 6, which Chicago won 6-3; as such, they actually outscored St. Louis in the series, 20-19. Brian Elliott faced an average of seven more shots per game (36.3 to 29.3) than Chicago’s netminder, Corey Crawford. While the Blues had home-ice advantage for the series, they split the four games played at Scottrade Center, but managed to take two of the three played at Chicago’s United Center. The home team won only three times. 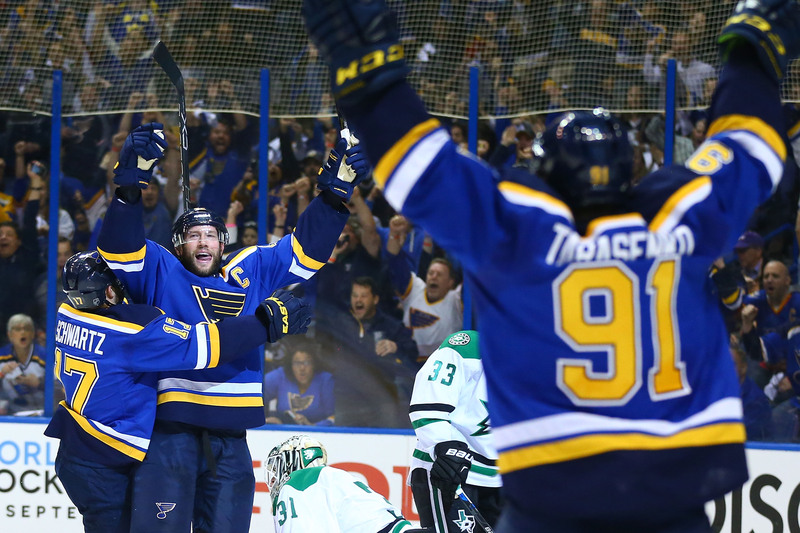 The Blues won the regular season series 4-1, claiming three victories in OT. So, if you’re keeping track at home, the Blues went 7-3 during the regular season against their two divisional opponents, and won six of those games in overtime. For whatever it’s worth, they were 4-1 against the Predators, including one OT win, and 1-2 versus the Sharks, with no home team winning a single game. Four of the seven games were decided by one goal (two in OT). All three of Dallas’ wins came in these nail-biters. The Blues won a crucial game 2 in Texas in OT; their other three victories were blowouts (two, away from home) by a combined score of 16-1. As such, they outscored the Stars 25-14 in the series. That’s got to be some sort of record for goal differential in a seven game series. The Blues averaged 3.6 goals per game in the series after averaging 2.7 per game during the regular season, good enough for 15th of 30 teams; the Stars averaged 2.0 goals per game this series versus 3.3 per game, tops in the league. A shaky first period in game 6 aside, Elliott certainly made his case for the Conn Smythe Trophy, turning away shots during furious action in front of his net and posting a save percentage 45 points better than his counterparts on the Stars, Kari Lehtonen and Antti Niemi. In all, things are looking promising for the Blues. In years past, they’ve folded easily after surrendering a lead, but this team has come back on several occasions, notably against the defending champion Blackhawks. They’ve also shown, against the Stars, they can score in bunches and keep the intensity up when holding the lead. Not to get too excited with two rounds yet to play before any parade in the vicinity of 14th and Clark, but if the Cubs are currently the best team in baseball and inevitably going to win it all in 2016, why can’t the Blues?